FFF is a collaborative media studio of filmmakers and artists who are passionate about the built environment, history, and place. FFF seeks to create media that nurtures awareness and engagement with our surroundings, and highlights people with unique relationships to the space around them. A presentation of original multi-media work inspired by an overlooked moment in history known as Bronzeville. FORM follows FUNCTION and Visual Communications present a special two-day program featuring an interactive media installation & open mic, a 360° virtual reality presentation, and a live Jazz performance on Historic First Street North. Bronzeville, Little Tokyo was a program of the 33rd Annual Los Angeles Asian Pacific Film Festival and the second installment of FfF Interactive, a neighborhood-based immersive media initiative of FORM follows FUNCTION. Bronzeville, Little Tokyo is funded by California Arts Council. Thanks to the support of Little Tokyo Service Center +LAB. a spatial, interactive multi-media exhibition that celebrates the diverse histories and viewpoints that make up the downtown Los Angeles community, Little Tokyo. Using virtual reality (VR) storytelling techniques and historic site-specific projection, Interactive Little Tokyo! 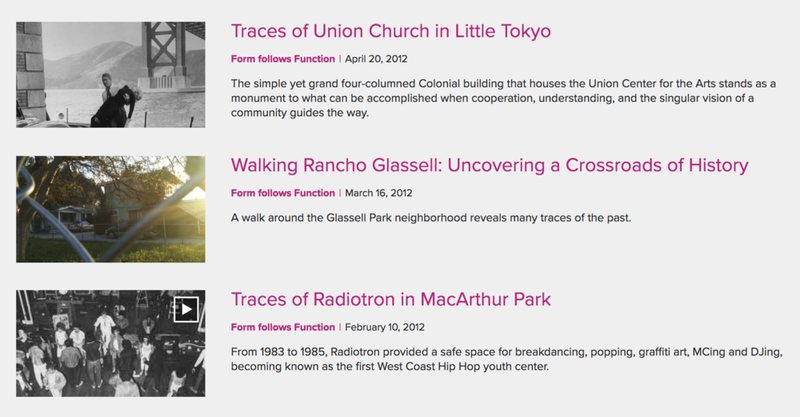 aims to bring new interest on Little Tokyo’s rich legacy, stories of which are often overlooked. Presented as part of the 32nd Annual Los Angeles Asian Pacific Film Festival in partnership with Visual Communications, Interactive Little Tokyo! 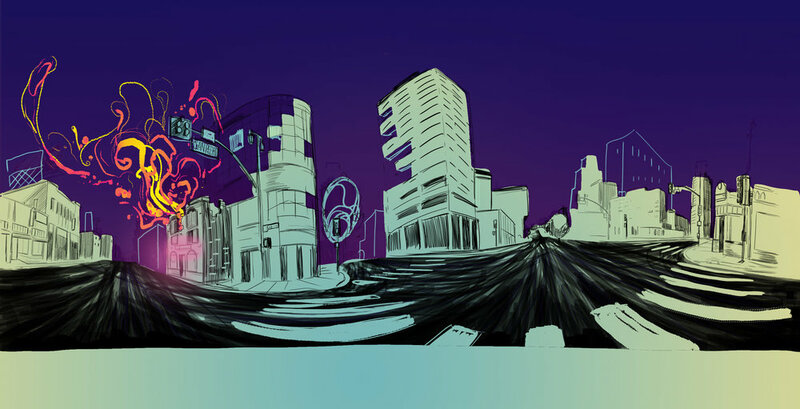 is the first installment of FfF Interactive, a neighborhood-based immersive media initiative of FORM follows FUNCTION. Multi-media articles presented on KCET Departures featuring original documentary videos, images and text by select writers and collaborators.